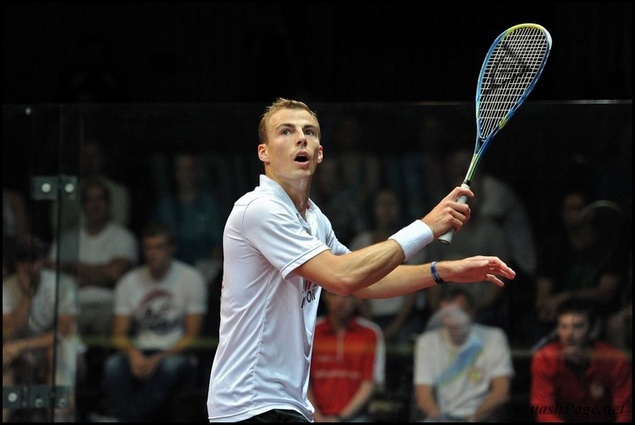 Nick Matthew, a current world number two and a former world number one athlete (Nick was holding a position of the best squash player 16 months altogether), belongs to the most noticeable squash players of a current squash scene. In the age of 32 he has a reputation for his excellent physical condition. He belongs to the players who help to make squash popular all over the world, including the support of a candidacy for the Olympic Games in 2020. 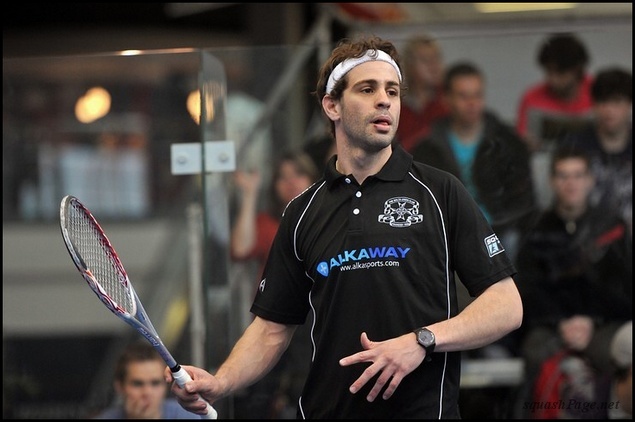 We asked Nick a few questions during The European Club Championship in September 2012 after his final game that we are publishing today. We give thanks for professional approach and willingness to answer the questions despite big fatigue after the two really hard matches. How do you feel just after winning the gold medal? 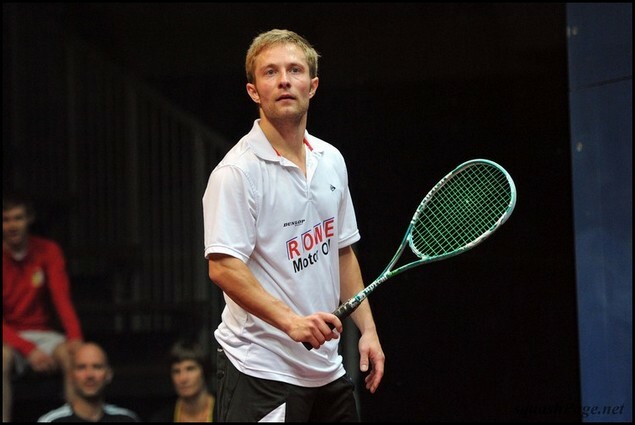 (editorial note – winning the title in European Club Championships in September 2012 in Prague). I would like to express my thanks to Michael Zehe – a team manager of ROWE Motor Oil. He has been spending a lot of time with the team for several years. Squash is his all life passion. The team has been primarily built by him. Otherwise, it is a bit strange feeling. I lost a match twice today and despite it my team became a European champion. I wasn`t so successful myself, but the whole team played outstandingly. And I am really glad for that. We have been playing together for many years and we are not a team of “soldiers” put together for the last moment as it sometimes happens. It is such a home team. When will you reach the world number one position back? Being the world number one is not my highest goal as I have already been in this position. If I reach it again, I will be definitely glad, but I always concentrate only on the next match. Looking up to the World Cup standings too much doesn`t pay off. I am 32 and the most important thing for me is to enjoy squash. As long as I enjoy squash, we will see where I can get the highest. You are renowned for your excellent physical condition. Can you approach us your training? I have been a professional athlete since the age of 18 and have trained for over 30 000 hours. In my age of 32 I can feel that I am not so fast as I used to be, but I still have a feeling I am improving. Just now I am looking forward to battles with James Willstrop, Greg Gaultier, Ramy Ashour and Amr Shabana. You look very concentrated on the court. How do you prepare mentally? Squash is a very emotional sport. You share the same playing space with your opponent. You must put a certain amount of aggression into the game as well and be able to keep your head cold at the same time. To balance both sides is very difficult. I think that we are able to have the best performances just when we succeed in balancing these both sides. An athlete is sometimes tired or frustrated and yet you have to find the right balance between aggression and composure. Do you have any rituals before the match? As a part of the preparation before a match, it is important to warm up not only physically, but also mentally. Squash is like chess as at the speed of 1000 miles per hour you have to have clear mind to be able to fight to the full. James Willstrop wrote a book “Shot and Ghost”. Are you planning similar production yourself? Yes, I am thinking about it as well. I would like to prepare the book in 2013. I hope it will be interesting for sports fans. What is your most favourite tournament? Perhaps it is Tournament of Champions of New York. There is always great atmosphere and matches tend to be sold out. 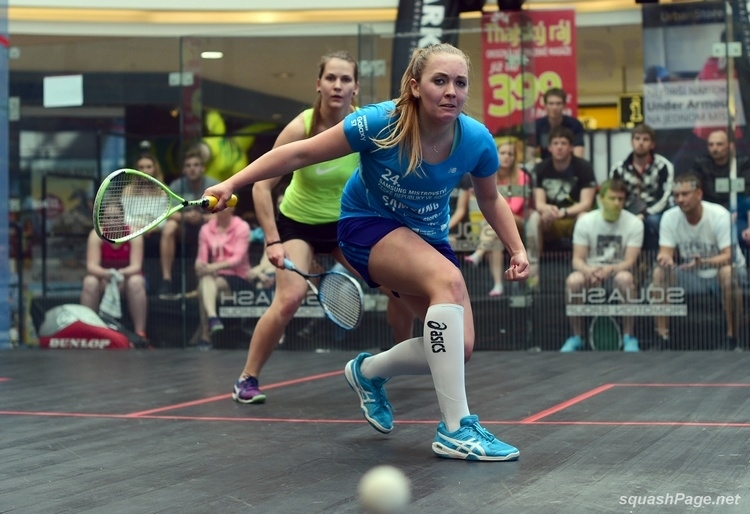 What are your other squash ambitions? Is there anything you haven`t reached so far? I have just won European Club Championships for the first time in my career. I would like to win any of big tournaments again, for instance I have never managed to win in Hong Kong so far … I realize my age, so if I manage to win 2 or 3 big tournaments, I will be really happy. 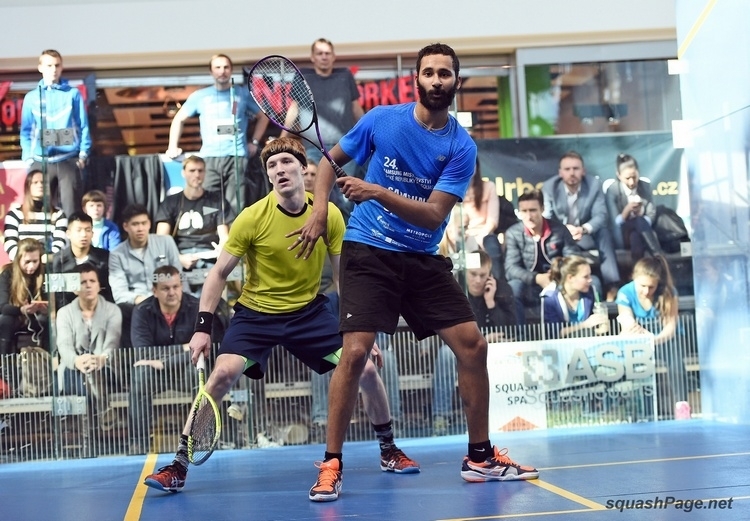 What is your opinion in the existence of two squash organizations PSA and PST? It`s a situation common for other sports as well. For example in golf there is also European and American tour. 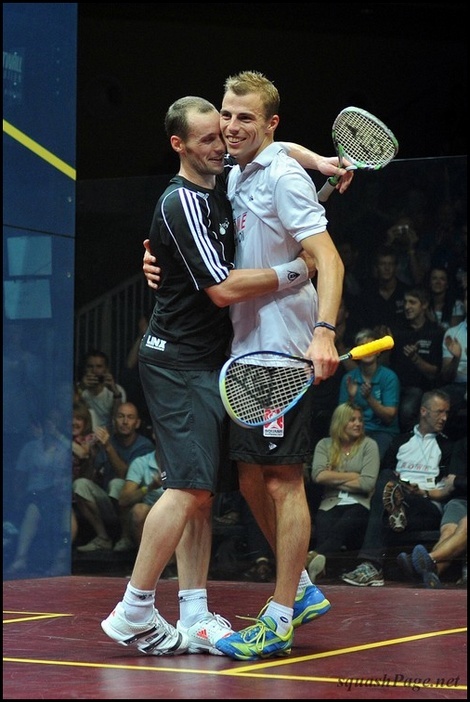 But I think it would be better if squash was united and we all worked together on squash promotion. However, currently it doesn`t seem that the ways of PSA and PST could join again in a short time. Will we see you in a series of PST in the manner of David Palmer or Wael El Hindi as well? I think you won`t. 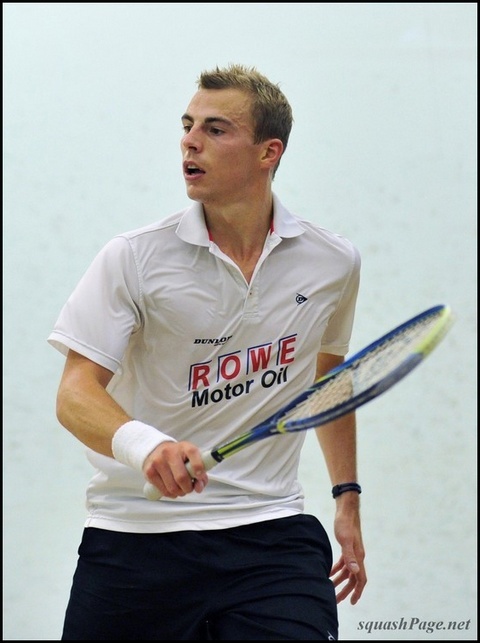 I have been playing for PSA since my youth and I have reached the position of world number one as well recognition in the squash world within PSA. I feel it would be fair to return it to PSA and be a role model for young sportsmen. 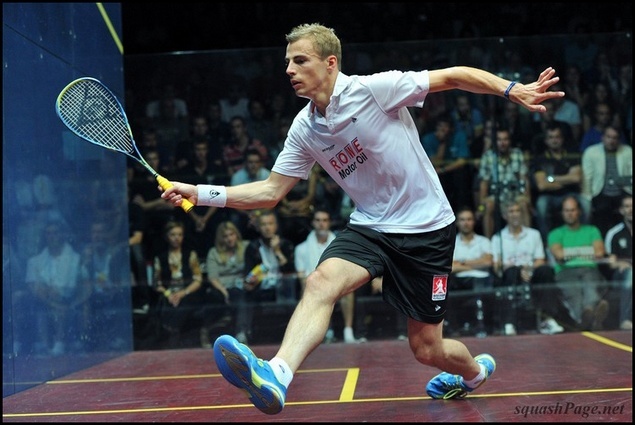 How do you view squash chances to get to the Olympic Games in 2020? The year 2020 means a great chance for squash. I can see an enormous effort made by many people around me with the only aim – to support squash in the candidacy for the Olympic Games. During the Olympic Games in London I had an opportunity to watch several disciplines together with my friends. It was very interesting to see the Olympic Games happening and at the same time very depressing to watch competitions in various sports fields with knowledge that squash doesn`t belong among them. I am myself an ambassador of an initiative “Back the bid”. For me personally it will be too late in 2020, but for squash as such it is a very important milestone. Did you have an opportunity to visit any competitions during Olympic Games in London? 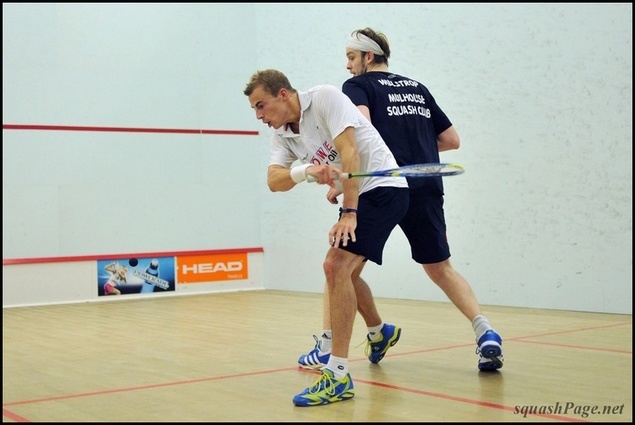 We give thanks for a provided interview and wish a lot of other squash successes.